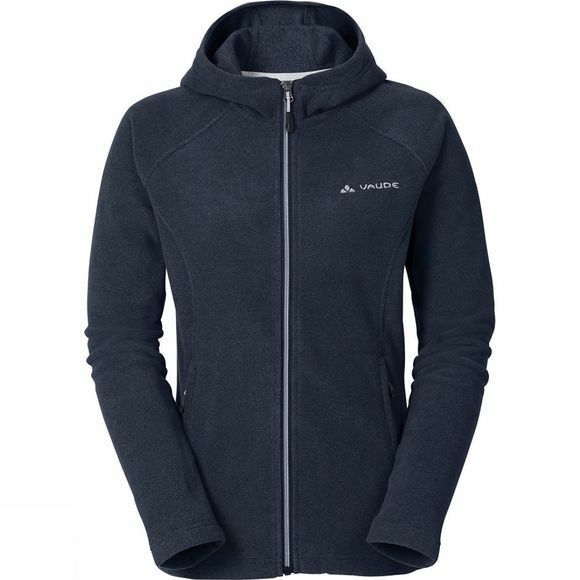 The Women's Lasta Hoody Jacket from Vaude is a fleece jacket for hiking. A cosy fleece hoodie is actually a must-have item in every outdoor wardrobe. Such a hooded jacket is pleasant to wear, keeps you wonderfully warm, is extremely easy to care for and dries quickly. Making it ideal for hiking, trekking and camping.